Let’s see which mobile phone has all the features which are required. What i love in these phones is the fact that they have all things which matter the most, features like music, video, apps, games, internet , social, camera and much more .. and the test below will provide the exact thing. Apple, like Android (in the shape of the Samsung Galaxy Nexus) has a brand new OS and flagship device to shout about. Not just a new handset, the iPhone 4S packs the iOS 5 interface, too. With a faster processor, improved camera and the much-heralded Siri voice control, it’s a subtle but significant upgrade to the world’s favourite phone. The design is nigh-on identical but for a slight adjustment to the arial, which boosts signal performance. The screen is the same 3.5in, 960*640 resolution – small compared with most here, but still beautifully formed. 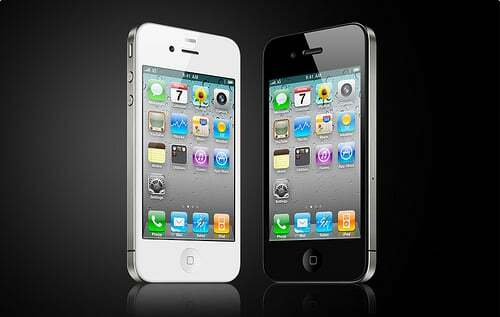 What is new is the processor: the iPhone 4S has the same dual-core A5 chip as found in the iPad. And it shows. Moving around the familiar iOS screen is faster than ever, with scarcely any lag no matter how many apps are open. It’s a noticeable improvement on the previous generation. The 8MP camera keeps the iPhone at the top of the pile too, while recording in 1080p is a nice box to trick – and you can play it back via HDMI or wirelessly using AirPlay. AirPlay has become a popular feature for Apple (and accessory manufactures), while the App Store and iTunes remain the market leaders for music, movies, games and more. Siri Apple’s take on voice control, is as advanced a solution as you’ll find, but it’s still not the finished article in th UK – it doesn’t cover UK business, for example – and won’t appeal everyone, even if speech is now the fastest way todo a web search. Flash browsing remains a blot on the iPhone copy book, but with Adobe recently admitting defeat for Flash on mobile, it’s an increasingly moot point. Browsing otherwise is faster, slicker and sharper than on anything else here, though that smaller screen does leave you peering at a chunk less information compared with some. Headlines than anything else in this test. You can enjoy Apple Lossless files as well as WAV, MP3 and AAG files. As with wed browsing, the screen is now watching video, but it is sharp, realistic and smooth with motion. We’ve always loved the iPhone, and this iteration could take it back to the very top of our pile. Faster and more feature-packed than ever before, it remains an enviable complete solution. Earlier in 2011 HTC brought a controlling stake in Beats Electronics, the company best known for its Beats by Dr. Dre range of headphones, one of the most successful brands in recent tech history. As a result, we can expect to see Beats’ technology and branding across a range of HTC products.Like the Sensation XE with Beats Audio. 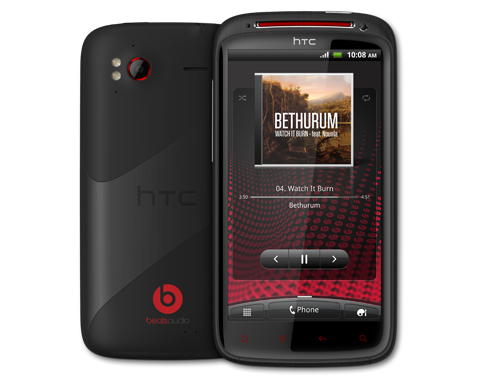 This smartphone, therefore, is essentially a Beats Audio upgrade to the original Sensation. The updated design adds some red flex to the case, while you also get a pair of £70 iBeats in-ear headphones. This new model has an improved – and class – leading – 1.5Ghz, dual-core processor inside, too. The form factor – pocketable but with a solid feel – and screen, 4.3in, 960*540 Super LCD, remain the same. There’s an 8MP rear-facing camera, capable of 1080p video (and decent still pictures), and the standard, lower-quality front facing camera. As with the original model, you’re reliant on an SD card (included) fpr most of your memory requirements – there’s only IGB of internal storage. There’s Blutooth and DLNA, too. Inside is Android’s 2.3 OS with HTC adding its own flourishes, such as the super-fast sweep through all your available screens, coming via HTC Sense 3.0. You can access apps from the Android Market and other Android regulars, while there’s also HTC Watch, a video rental service with a decent selection of films, and Friend Stream, which tries (with varying degrees of success) to be the hub for your social media apps. The HTC-meets-Android interface is a smart, clean OS. Internet browsing is good, with the HTC, fully Flash-enabled of course, giving over the whole screen to the web, and loading pages rapidly. The screen is fine for browsing, but switch to video and it lacks a little sparkle. Black levels aren’t great, so it’s hard to make out any great detail in dark scenes, while colours lack punch. It’s a similar story for sound, but that’s more of a let-down. The earphones are great, but the Beats Audio sound from the ‘phone proves woolly and lacking in clarity thanks to an abundance of low-quality bass. Extended use finds the battery struggling to last out the day. There’s much to like here, from the smart interface, iBeats buds and impressive browsing, but the HTC’s AV performance can be beaten elsewhere. Even smartphones can’t escape the clutches of 3D. The LG Optimus 3D is the world’s first 3D smartphone, capable of playing 3D videos, and even sending 3D content to an HD TV. And all without the need for glasses. Three is the magic number here: elsewhere LG bigs up its “tri-dual technology”, which should make it nice and fast, though it may be hindered by the Android 2.2 operating system, which leaves it a smidge behind the times. We do find moving around the interface a little less slick and a little more sluggish compared with the newer android devices. Battery life is also an issue: this phone guzzles juice like no other here and used heavily – playing 3D games, for example – it can drain the battery in a matter of hours. Nokia has struggled to make much of a splash in the smartphone industry, concentrating instead on the entry-level end of the market. The Finish company hopes to change this by embracing Windows Phone, and this is its first, flagship Windows smartphone. The handset is a little stubbier than the profile you’ll see elsewhere but its curves are easier to grasp than flatter, squarer devices. It’s refreshing in a sea of Androids and Apples. And it’s a similar story with the Windows phone OS. It’s a fair step away from Android and iOS. And it’s a success. The home screen comprises a series of customisable ‘Live Tiles’,two abreast. There’s less immediately at your disposal on the main screen but it’s neat and tidy. Away from this screen the menus have a Windows feel – in a good way – with clear, text-led menus. It’s fast and functional, if understated. The touchscreen is a little sensitive, so horizontal swipes sometimes register as vertical, while it’s easy to tap in to an app rather than scroll past it. This can be an issue with internet browsing, too, but there’s nothing wrong with the speed of the Internet Explorar browser. Flash is missing – though an update is imminent. Microsoft Zune is your music software. It tries hard to be busy and exciting, which makes basic functions a little harder to work out than maybe they should be, and will only rip in MP3 or WMA, but the wireless sync feature is clever. You can fill the Lumia 800’s 16GB memory (there’s no SD card slot) with the normal selection of music files. The 3.7in, 800*480 resolution screen is less impressive at a glance due to less screen compared with the big boys. But it’s as sharp as any, and the AMOLED screen delivers plenty of detail. Sonically it’s strong, too. There’s a slight lack of refinement and detail compared with the best, but in an isolation it can hum a tune perfect nicely There’s a decent 8MP rear camera that will record 720p videos and an FM radio. The number of apps is limited. There’s no BBG iPlayer, but BBG News, Spotify and ESPN Goals are here. There’s a nice Xbox Live tile, allowing you to play games, and access your friends and content. We’re impressed. It doesn’t match the best in key for us – music and video playback, or choice of extras – but this is an interesting and welcome alternative. 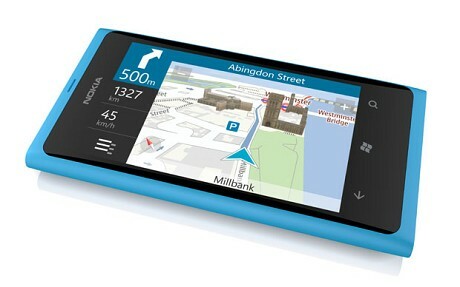 With Nokia, and Windows Phone, we could have a serious new contender. If the world got anywhere near as excited about new Android handsets as it does with iPhones, this would melt the internet. 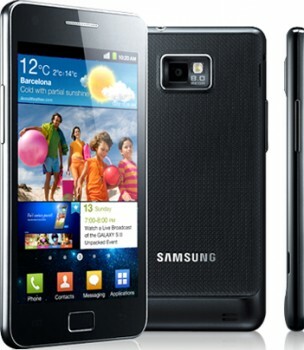 It’s the first phone with the Android 4.0 operating system, and the news star of the Samsung family. In time the OS will come to other phones, but for now this has the march on its rivals. The Nexus marries a svelte chassis with a premium feel as well as any phone we’ve seen. There aren’t even any physical buttons; everything is done on the huge, 4.65in HD Super AMOLED, 1280*720 screen. Yep, an HD screen. Three virtual buttons are omni-present at the bottom, with a new-look interface above. It’s still instantly Android but it looks sharper and more exciting, and there’s a vast amount of space to play with, iOS-esque ‘folders’ – groups of apps hidden beneath one icon – are new, as are improved notifications, a shortcut to see all open apps (borrowed from the tablet incarnation of Android) and a clever data usage menu. All very slick. It’s rapid, too. 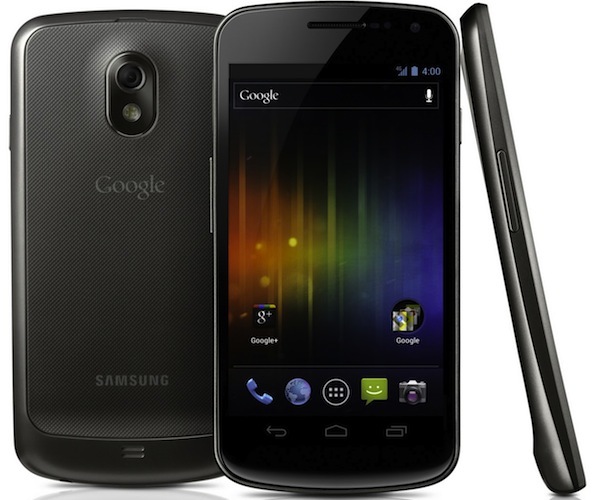 The Galaxy Nexus has a 1.2GHz dual-core processor and IGB of RAM and, like a silver-service waiter, it’s almost a step ahead of your every move. Jump in to the browser and pages load quickly and are resplendent on the big screen, with crisp text, impressive contrast to pictures and clean whites beneath it all. Flash is missing, but we’re assured that this will soon be updated. MP4 and H.264 videos are supported, as is HD content, and it looks every bit as refined as we expected. Feeling no need to blurt out over-cooked colours, nor struggling to deliver deep, dark shades, it’s a detailed, subtle watch. And pin-sharp, too. The Android Video market is now live, with ‘thousands’ of films to rent in SD for around £3.49. Music is delivered with insight and punch, bass is tight and vocals are clean: the Galaxy Nexus plays music better than any Android phone we’ve heard. MP3, WAV and FLAC files are supported, and you’ve got a 16GB(or 32GB) memory at your disposal (though no SD card). The wealth of apps from the Android Market is here, there’s a 5MP camera capable of recording 1080p video and deep integration of everything Google. There’s so much to play with its perhaps no surprise the battery is average – surviving around a day of heavy usage. This is the best Android smartphone we’ve ever seen, and it’s closer than ever to iOS in terms of desirability and usability. It’s a new Android benchmaRK. You’re looking at our Award-winning smart phone for 2011. We were big fans of the original Galaxy S, and this summer update was a welcome evolution that brought small but brilliant tweaks across the board. But that was then, this is now, and a host of new Android handsets, and the iPhone 4S, are vrying for the crown. The Galaxy S II remains a slip of a phone. It’s featherweight and wafer thin – almost to its detriment, lacking gravitas for all its portability. It has s normal array of connections, but also includes a normal aray of connections, but also includes a microUSB that cleverly doubles as a HDMI output (with a £25 cable). The 4.3in screen is striking. It’s a typical 800*400 resolution, but it looks good, which Samsung will attribute to itsSuper AMOLED Plus display. There’s plenty of room on that customisable Android home screen for apps and widgets, and moving around the interface and arranging your icons is as easy as any other Android 2.3 phone. Samsung focuses on grouped ‘hubs’ of content, such as Social, Readers, Music and Games areas. The increasingly formidable Android Market is here, too. Connect it to your PC and Samsung’s new Kies software will load, letting you wireless sync music, video, contacts and more. It seemed a little slow to us, but it is new to market as we write. While we’re talking wireless, you get DLNA support too. Internet browsing is fast – The Galaxy S II has a dual-core 1.2 GHz chip – and the screen’s size comes in to its own. It isn’t perfect compared with some new rivals, though: the screen has a strange tint at times, and scrolling speed through web pages can be erratic, speed-wise. Another foible is the phone’s insistence that it can’t handle WAV files. It can, but does so by putting them in the file explorer rather than the music player. This aside – and with all the usual formats supported – the music and video performance is good. There’s plenty of space to James Blake’s vocals and more upbeat tracks sound exciting, with only a lack of punch and precision compared with the iPhone 4.3. Video is handled smoothly, with brilliant colours and deep blacks making a dynamic picture, but newer arrivals offer more subtlety. The light weight and big screen mean it’s easy to watch. The Samsung Galaxy S II remains a formidable proposition but the next wave of smartphones has arrived – and it’s providing some tough competition. Sony Ericsson isn’t a name that springs to mind when it comes to smartphones. We’ve liked what we’ve seen, with Sony using its Walkman pedigree to bil its mobiles as music specialists, but they’ve not set the world alight. With the Arc S, the company hopes to change that, and is harnessing its video expertise, courtesy of the Bravia TV engine. Or should we say, the ‘Reality display with Mobile Bravia Engine’. Silly name, but the 4.2 in, 854*480 LED-backlit screen means business. Text is sharp, there’s impressive contrast delivering real depth, and colour is spot-on. The 1.4GHz processor and 512GB of RAM is nothing to write home about, but the Arc S is no slouch, and it’s a similar story with Android 2.3. There’s just 1GB of internal memory, however, so you’re forced to rely on an SD card for storage. maximizing the AV functionality there’s a HDMI output, DLNA streaming and even the ability to shoot 3D photos using the clever 8.1MP camera. You’ll need to the connect to a 3D TV to see them and we found the technique a bit tricky, though. A big bonus is access to Sony’s Music and Video Unlimited services. The former offers streaming for a monthly fee and a music store, while the letter delivers videos to ren. There’s a better supply of music than video, but its early days. Android Market has you covered for apps and games – why Sony Ericsson chooses to also its own store with a handful of apps, we don’t know. The phone feels slim but solid – similar, but arguably better, than the Galaxy S II. The screen takes up most of the room, with four shortcuts either side of the main menu button at the bottom. There are also three small, slightly fiddle keys – back, home and settings on the handsets itself. This screen looks great when browsing the web, with Flash support ensuring a complete experience. It looks crisp and colourful, and while it isn’t as speedy as some, you’ll have no complaints. There’s a sense of depth, subtlety and sheen to video that is indeed reminiscent of a smart flat screen TV. It really is an excellent video player, with only the fastest motion causing some complaint. Music isn’t far behind: it isn’t quite as detailed as the best about, but it’s still pleasingly punchy and full-bodied. Light, stylish, feature-packed and with excellent performance: we’re impressed. But for its good-but-not-great audio and strong rivals, this would be five stars. This test has ended with some good news: smartphones are getting better than ever. There really isn’t a dud device in this group. The best are improving, and the once also-ran are getting their act together. In a market previously dominated by the battle between Android and Apple, Nokia’s first Windows Phone handset suggests that we could now be looking at a three-way scrap for supremacy. The company’s Lumia 800 is a worthily addition to the market. Revelling i n its individuality, the Windows Phone operating system is a success, while the phone delivers decent AV performance. In fact, only the HTC Sensation XE and the LG Optimus 3D prove slightly disappointing when it comes to audio and video. Still, the inclusion of the excellent iBeats earphones is a step in the ritght direction, while LG’s3D camera and screen could prove a canny move. In isolation, there’s little wrong with any of our four-star smartphones. 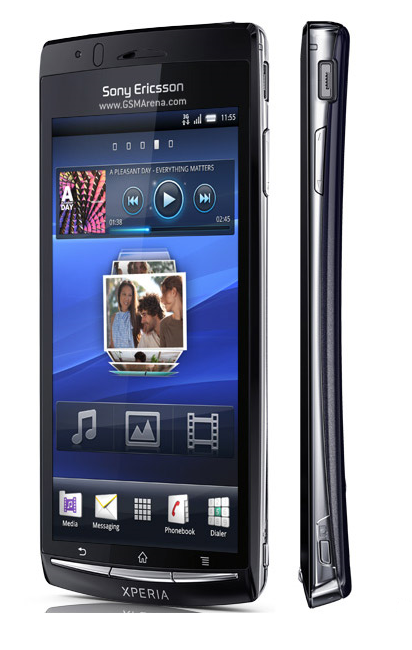 The Sony Ericsson Experia Arc S might not somehow have the sense of excitement of others here as you use it, but it feels great in the hand and excels with displaying video in particular. Samsung Galaxy S II owners could feel a little mixed, but they really shouldn’t Yes our Award-winner is now a four-star product – but the Galaxy Nexus is a ‘next-gen’ phone, which was always ging to trouble its older sibling. We’re back on the Apple bus with the iPhone 4S though. A new processor chip and amazing operating system make for a lightning-fast experience, while its traditional strength with audio and video remain unrivalled.